Anti-fracking activists protesting a natural-gas conference in Philadelphia last fall were being monitored by a private security company that sent a photo of a demonstrator to the Pennsylvania State Police, according to an email obtained by Earth Island Journal. A few months earlier, at another industry-led conference, state Trooper Michael Hutson delivered a presentation on environmental extremism and acts of vandalism across Pennsylvania’s booming Marcellus Shale natural-gas reserves. He showed photographs of several anti-fracking groups in Pennsylvania, including Shadbush Environmental Justice Collective protesters demonstrating at an active gas well site in Lawrence County in western Pennsylvania. PINE GROVE — Jack Zerbe II was about 10 years old when the Sunoco pipeline was built through his family’s farm in Washington Township, but he remembers that it took 15 to 20 years for production on that land to return to where it was before construction. Many of the 50 or so other protesters outside the Hershey Lodge, where national Republican Party leaders were attending a retreat, demonstrated against issues such as the Keystone XL Pipeline and climate change. 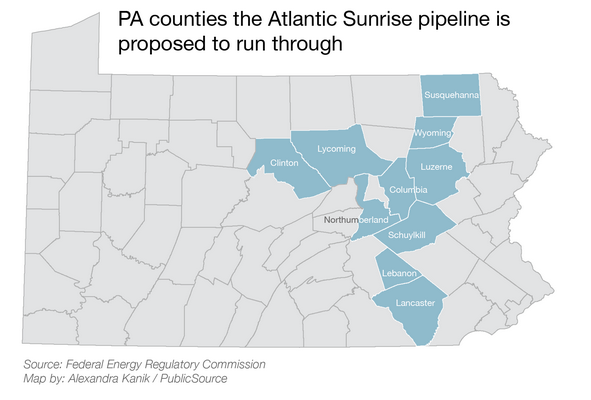 But Whitewolf, chief of the Northern Arawak Tribal Nation of Pennsylvania, was objecting to something more local — the Atlantic Sunrise pipeline project in Lancaster County. 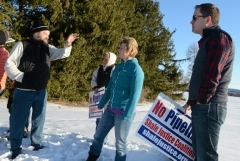 Forks Township supervisors Thursday told residents they would take action on Columbia Gas Co.’s expanded compressor station if the project doesn’t adhere to township ordinances. The Federal Energy Regulatory Commission, which has oversight of the project, in December allowed Columbia Gas Transmission to move forward with plans for the East Side Expansion project. 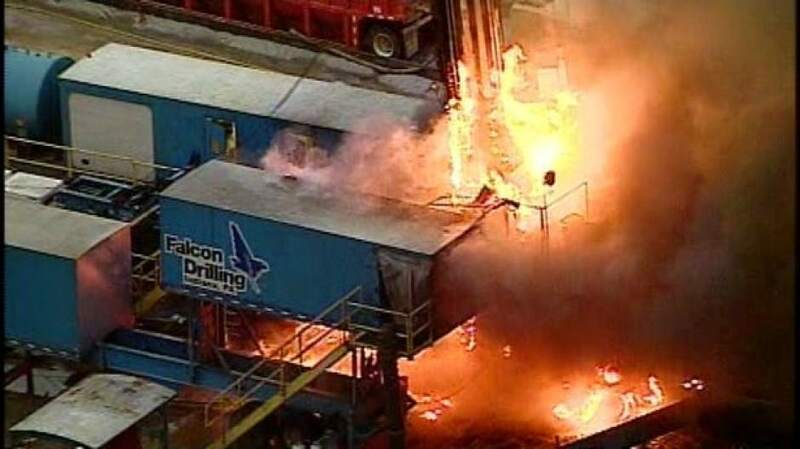 The fire that took over a Range Resource natural gas well rig in North Strabane late Wednesday afternoon was the result of equipment failure on a piece of machinery, the Fort Worth-based drilling company said in a news release. SERGEANTSVILLE, N.J. – A blanket of snow overlay the idyllic landscape of farms, stone walls, and New Jersey’s oldest surviving covered bridge last week. Alix Bacon, a regional manager for the New Jersey Conservation Foundation, swept her arm across the postcard vista. “All of this is preserved,” said Bacon, whose organization played a key role in securing the development rights to maintain the region’s rural character. Last year, a consortium of utilities announced plans to build the 110-mile PennEast Pipeline to deliver natural gas from Pennsylvania’s Marcellus Shale region to an interconnection near Trenton. The proposed route would cut a swath across this part of Hunterdon County hugging the Delaware River. Local landowners have risen up – colorful anti-pipeline protest signs sprout from the roadsides of most communities along its route. Residents say they fear the pipeline will cause environmental harm, permanently scar the terrain, lower property values, and put their lives at risk.